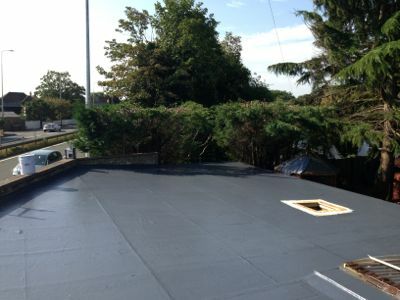 Remove existing felt roof. 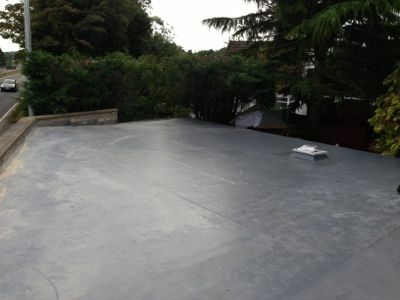 Replace with 25 year guarantee GRP fibreglass roof. 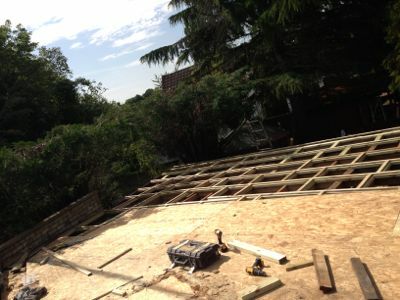 Replace all timber joists with new. Add 1 skylight.